Danny and Smadar had to cut the interview short and return to class because they were scheduled to watch a Jerry Lewis film followed by a movie set in Netanya. Tel Aviv Performing Arts Center: The entire city is chattering about the Summer’s hottest film, “Netanya“, a chilling film seen through the eyes of the heroine as she watches her friends, family, and neighbors slowly turning into Francophones. 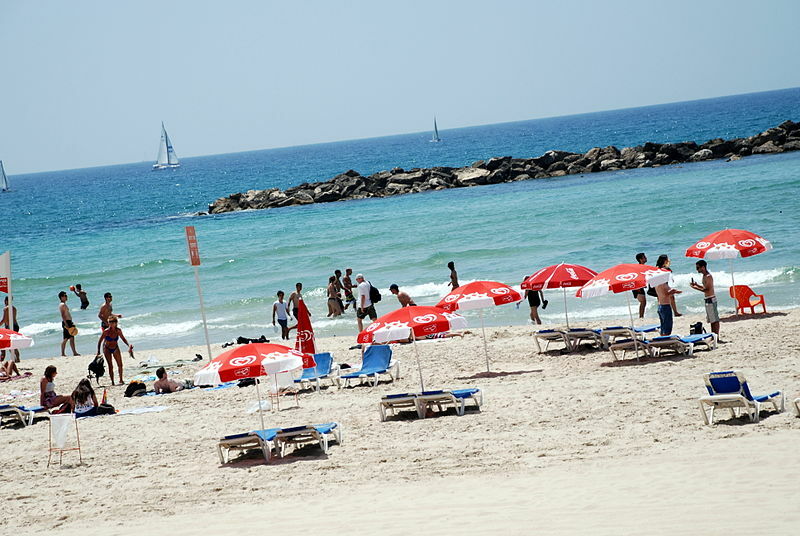 The movie, set in the seaside city of Netanya north of Tel Aviv, was filmed using handheld cameras with unknown actors on a limited budget. Daily Freier’s Arts and Entertainment Reporter talked to moviegoers as they exited the theater last night. “Oh my God, when she sat down with her husband at their favorite hummus place, and he smiled at the waiter and ordered bouillabaisse in perfect French, and then she started screaming, I jumped 5 feet out of my seat.” said an excited Rachel G.